The Black Barcode: Work it! I'm not really one to get excited to work out, I don't even work out that much (even though I should!). But you can sometimes catch me on a nightly run through the neighborhood. Having cute workout gear helps me get my booty out the door and become more active! 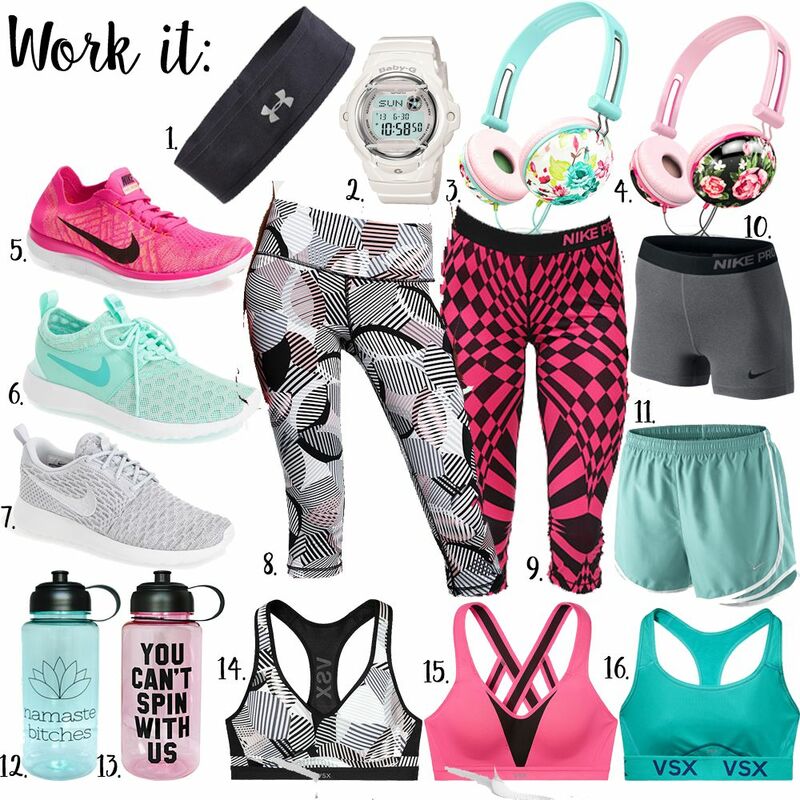 If you aren't interested in spending a ton of money on workout gear try Forever 21, they have some cute active wear that is currently curing my marble print craving. I'm going to try and sign up for a yoga class soon with some friends, just so I'll be able to keep up with a regular workout schedule!